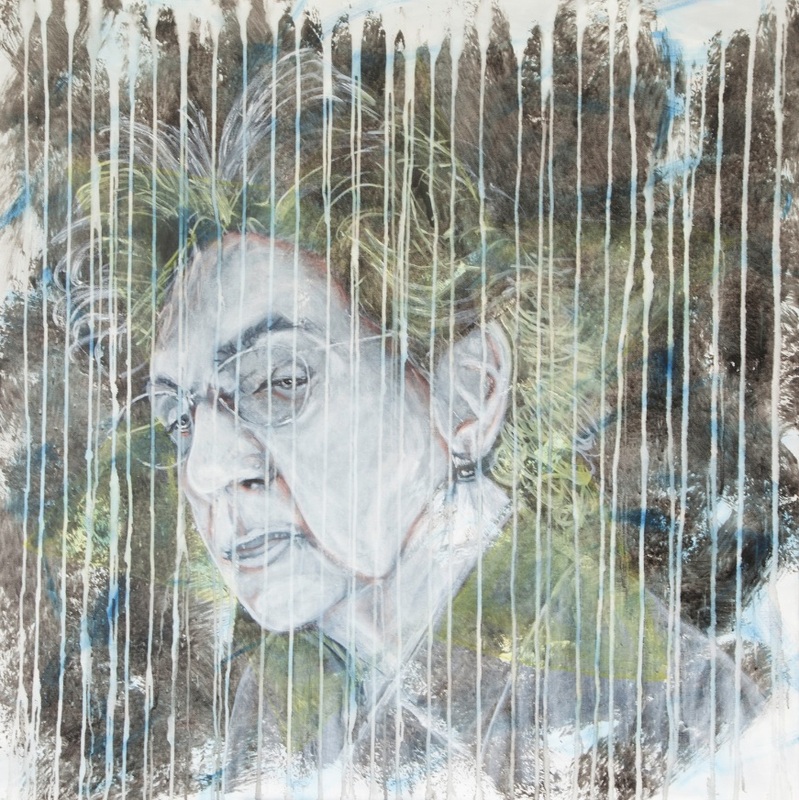 MFA Fine Art student Andrea Coltman has just exhibited her work in ‘Intersections’ at the Kaleidoscope Gallery in Sevenoaks, which she also co-curated, and in March will show her work in ‘Threads’ at Espacio Gallery as part of Women’s History Month celebrations. 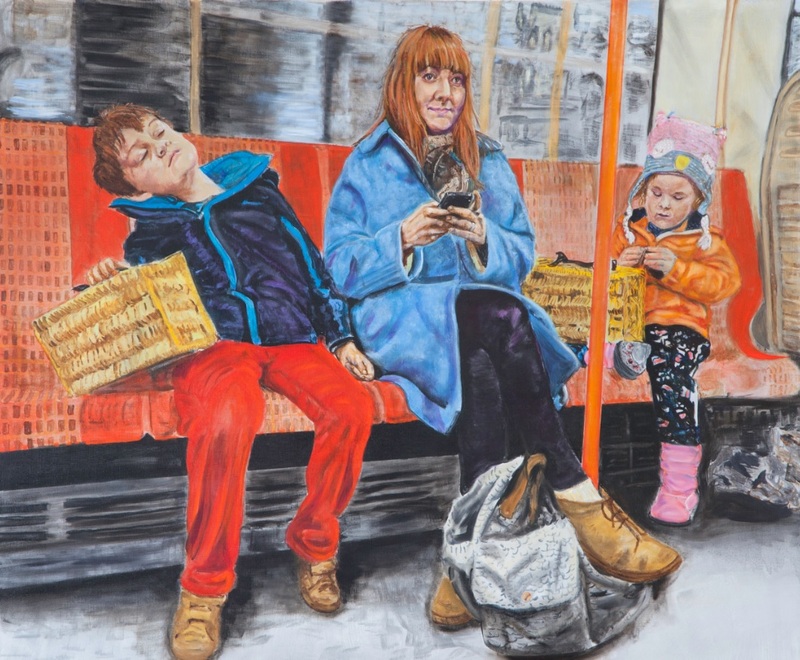 We spoke to Andrea about her figurative painting practice, her interest in psychogeography and the notion of ‘place’ and what she enjoys most about studying the MFA at Wimbledon. How did your work come to be selected for the Threads exhibition during Women’s History Month? This was an open call selection through an external artist’s organisation. The submission call stated that artists were invited to submit work that explores the diverse strands we spin in our lives that connect us through our experiences, humanity, gender, friendship and relationships across the division of country, culture, language, religion and much more. It’s exciting to work with new artists. I have not worked with any of the artists before so I have no idea what to expect. I have exhibited at Espacio Gallery before and that was one of the best experiences I have had and again that was working with a set of artists that I hadn’t met previously. Does being a female artist influence your practice in any way? This is not a question that I have ever asked myself although I’m aware that there are still gender recognition issues in the 21st century. My art does not deliberately probe feminist issues. Of course being female, being a mother and a mature student, I most likely have different perspectives, intentions and influences to males so I guess that must inform my work and how I am influenced. How did your work come to be selected for Intersections at the Kaleidoscope Gallery and what are was the best thing about exhibiting in this show? This was a self-initiated project and I am both curating and exhibiting in this show, which draws its own challenges. The challenge of curating the show is probably the element that I enjoyed the most. Fellow MFA Fine Art student and peer, Antony Dixon, co-curated as we are wanting to work together after we finish our course. I always find curating my own work far more challenging than curating other people’s work. Can you describe your artistic practice for us? My practice is largely figurative painting. Through the MFA Fine Art course I have started to really identify what drives my practice and that I am very driven by my constant feeling of displacement and my inability to ‘love a place’. I am drawn to the ordinary, transient moment and try to to capture this through paint. I have learnt that this relates to the idea of psychogeography, non-place and interstice and I am constantly responding to the influence of an environment and my emotional reaction to that transient moment as I pass through. I am fascinated by how I, or others, behave and I am intrinsically drawn to people. I feel that my path frequently crosses with so many others for a fleeting second. Maybe it’s a case of sliding doors! That said, at the present moment, I am working without the figure and focusing on interrogating the space. I suspect the figure will resurface! What have you enjoyed most about the MFA Fine Art at Wimbledon? I have enjoyed the challenges of really digging deep inside my practice and being able to experiment with different disciplines and media. But the best part is being part of an amazing group of artists and part of UAL. How has your practice developed throughout your course? I have had time to experiment with different processes that I wouldn’t have necessarily been able to access ordinarily. Significantly, I have learned that I have to take full responsibility for my practice and make things happen professionally in order to become sustainable as an artist. Artistically my practice has gone through a transformation and I am understanding more about what drives me and why. What else is coming up for you in the near future? The Threads exhibition is going on tour in July to Edinburgh, which is really exciting as it is somewhere I have always wanted to visit and now I have a genuine excuse. Last summer I developed and structured another self-initiated project, a three month residency in Canary Wharf and I have plans in place to do a more intense version during the summer months of 2017… And of course I have the main event, the MFA Fine Art Degree Show, in June! Additionally I have already initiated plans to collaborate with a number of other artists too. So, hopefully, I will have no time to twiddle my thumbs post-degree! You can learn more about Andrea and see more of her work on her website or follow her on Instagram. 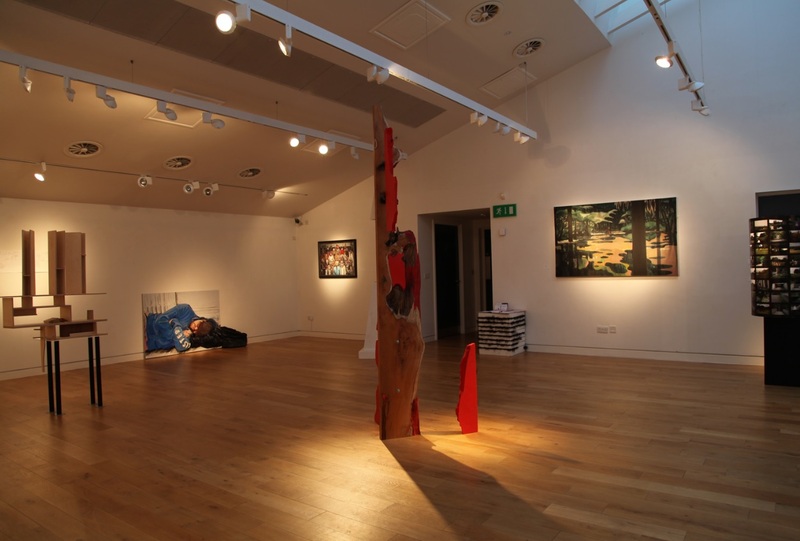 Find out more about studying MFA Fine Art at Wimbledon College of Arts.